It’s spelled backwards on the tape, how is it pronounced? Nowednoen? No, it’s NEONDEMON from a vanity micro-label based in Sydney, Australia. A fitting name for the artist of this stimulating collection titled Six Songs. These are some synth heavy songs that show NEONDEMON’s overview from 2012 to 2016. It starts off with a wobbly bassline over drum machine clicks. Throughout the first track, “Pickman’s Mephitic Models”, different grooves and synths introduce themselves before leaving suddenly while leaving the main theme underlying it all. This album stays pretty consistent with a driving rhythm, low growling bass and wet synth bells repeating motifs throughout the tape. The third track, “Batlüng ‎Å” has a hyper-speed square wave lead line that suddenly throws you into a flute playing softly over bird chirping around the one minute mark, an unexpected but welcomed break from the noise. You can really see NEONDEMON’s progression as an artist as you listen to their Six Songs. There is an interesting array of soundscapes for what this project is: fast grooves, emotional drawn out swells, and a somewhat ominous conclusion to wrap it all up. 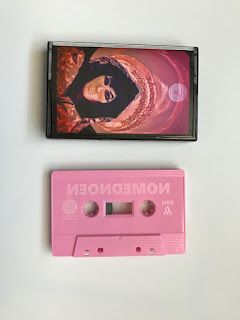 The last track on this tape is titled “The Pink City” which is about homage to travels to the city of Jaipur, in India. It concludes the album when sounds we have not heard enter in the form of sitars and the buzz of flies. Consequently, Six Songs is a world of its own. 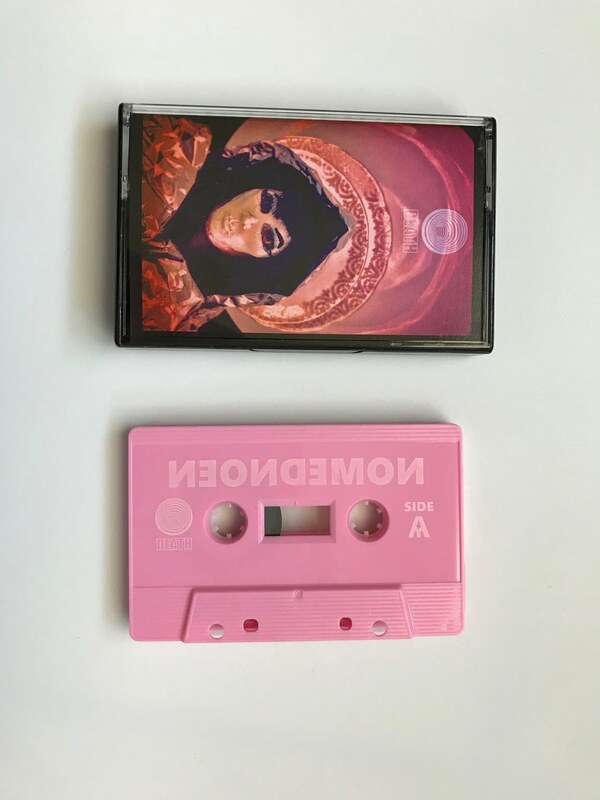 Each song seems to have a message that I cannot decipher on this mysterious, pink colored tape with a man in a white mask on the cover.